When the unexpected dental emergency happens, give us a call at 225-292-4321. We will get you in today, even if you are not a current patient. We are a Baton Rouge emergency dentist that understands what it’s like to be in pain. And many times all it takes is a simple procedure of a couple of minutes to get you out of pain! 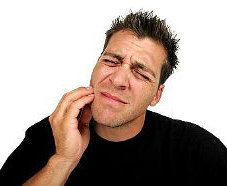 Toothaches are one of the most common dental emergency calls we receive. Typically, a toothache is the sign of an infection in the tooth which is caused by tooth decay that has penetrated the pulp of the tooth. If this is the case, you will need a root canal treatment. Many patients have heard horror stories about root canals. But with the techniques available to us today, it can be pain-free. We will temporarily relieve your pain during your initial visit and then schedule a time for you to return for the root canal treatment. To learn more about what to expect, please visit our root canal treatment page. There are a number of other reasons that you may need a trip to the emergency dentist. Periodontal issues may result in a gum infection or abscess that can cause tooth pain. A chipped, broken, or cracked tooth are also reasons that you may need immediate care. First and foremost, we want to get you out of pain as quickly and comfortably as possible. Prevention is key to help avoid dental emergencies. Regular cleanings, x-rays, and exams allow us to spot potential issues early. This will keep you from painful dental problems and help keep your dental costs low. Many times patients avoid regular dental appointments because they get anxious at the thought of going to the dentist. We do everything we can to make you feel comfortable and relaxed. Your dental care can be pain-free with the use of our sedation dentistry techniques. So if you have had a traumatic dental experience and are scared of the dentist, please visit our sedation dentistry page to learn more.